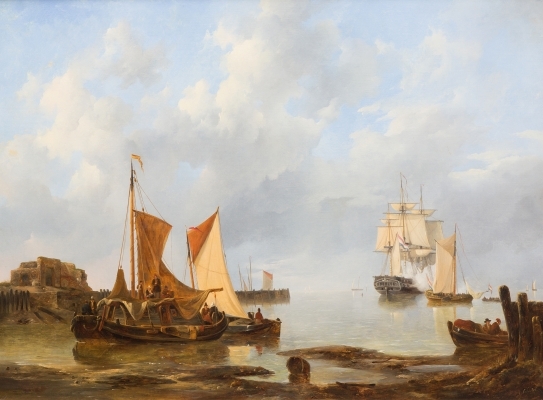 Shipping in an estuary with three-master 'Euridice' saluting in the distance, signed 'J.C. Schotel' (lower right). -Auction, Sotheby's, Amsterdam, 7 November 1995, lot 137. Please note that the preparatory drawing of the present lot is part of the collection of the Teylers Museum, inv. no. Z 041.